Brendan removed the lawn in his front yard and re-landscaped the area with WaterSmart plants and irrigation. 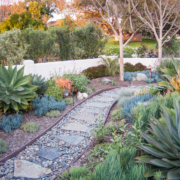 The new plants include various succulents, drought-tolerant flowers, and an orange tree at the bottom end of the landscape. 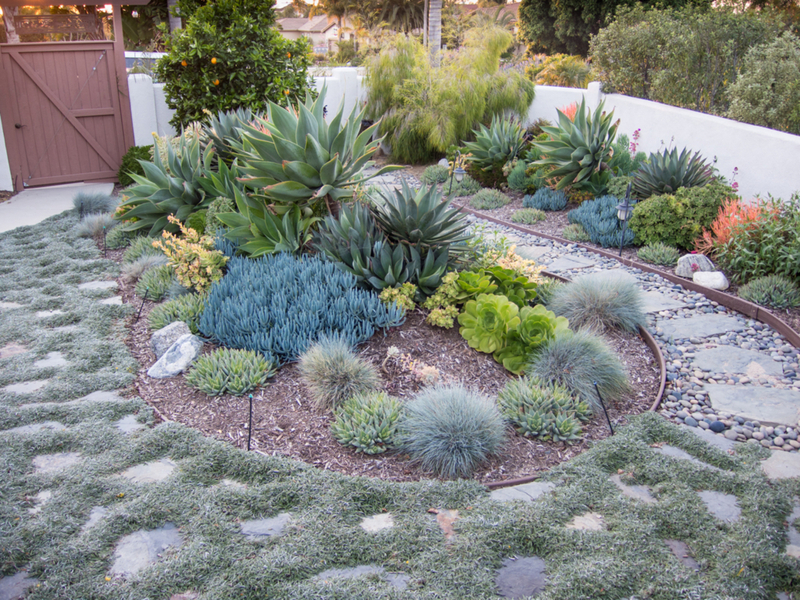 The sprinklers that were formerly used for the grass were converted to drip irrigation for the succulents, and microsprayers were installed for the path that is planted with Dymondia. 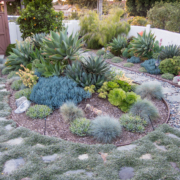 The entire planted area is covered by a thick layer of mulch. 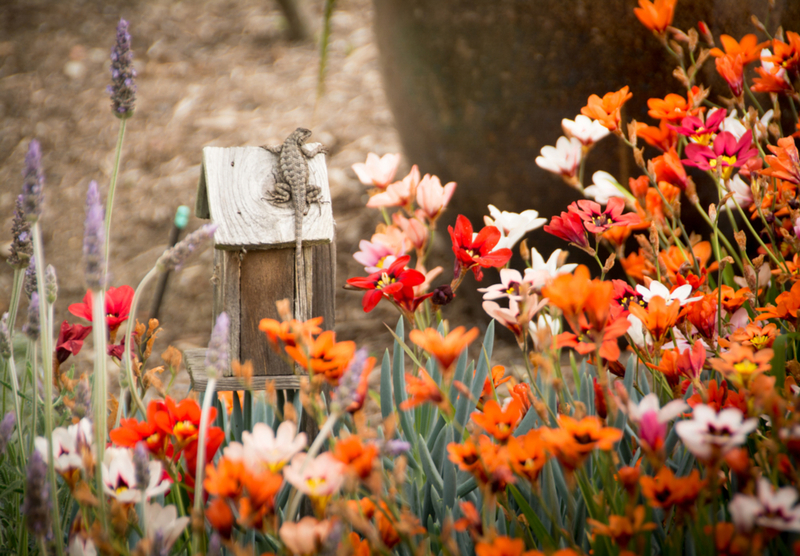 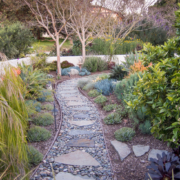 The landscape is not watered in the winter and is watered 1 to 2 times per week during the rest of the year. 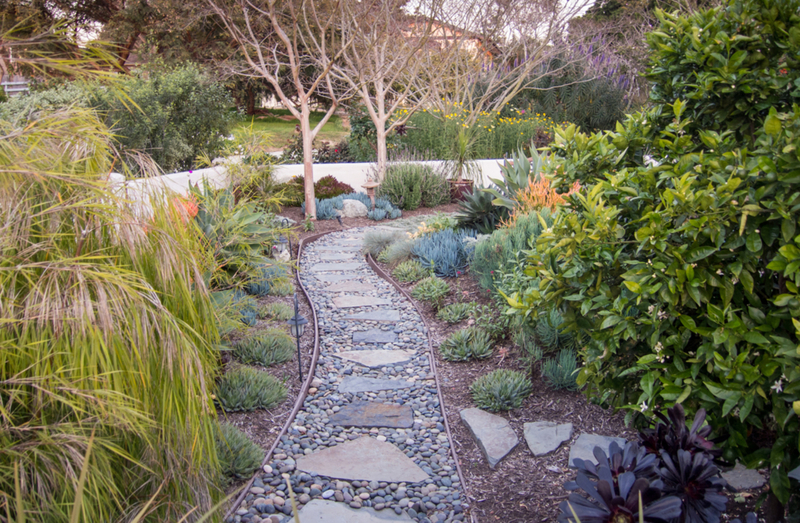 Rain barrels supply extra water for the trees as needed, and the landscape also receives additional water during the rainy season from an outfall located near the bench that drains some of the rain gutters and sidewalks around the home. 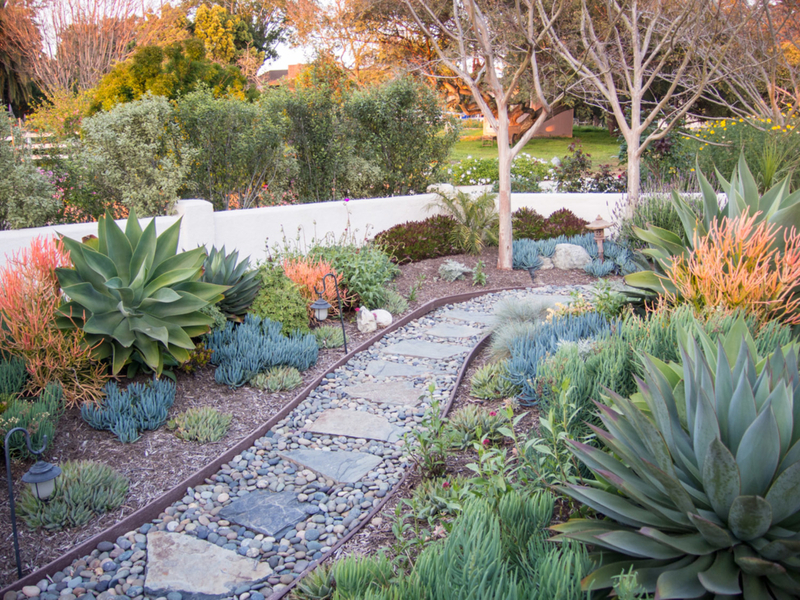 Brendan originally replaced the grass with the WaterSmart landscape to conserve water and save money. 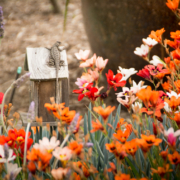 Later, he discovered many added benefits – it is easy to take care of, attracts birds and butterflies, and does not require any chemical fertilizers.